Brunch takes place in the Vanity Fair Ballroom on the 2nd floor of the King Edward Hotel. Tickets are $50.00 each (taxes included). Please call us at (416) 361-0032 with your credit card information to reserve a ticket. Friday, April 5, 7:30 p.m. Strangers to one another, hailing from villages and cities across France—230 brave women united in defiance of their Nazi occupiers—they were eventually hunted down by the Gestapo. Separated from home and loved ones, imprisoned in a fort outside Paris, they found solace and strength in their deep affection and camaraderie. In January 1943, they were sent to their final destination: Auschwitz. Only forty-nine would return to France. Caroline Moorehead was born in London and earned a bachelor's degree from the University of London in 1965. She is has written biographies of Bertrand Russell, Heinrich Schliemann, Freya Stark, Iris Origo, Martha Gellhorn, and aristocrat Lucie de la Tour du Pin. She also has written a number of nonfiction pieces centered on human rights, including a history of the International Committee of the Red Cross. She began a trilogy of books on the French Resistance in World War II with A Train in Winter (2011) which focuses on 230 French women of the Resistance sent to Auschwitz. Village of Secrets (2014) describes a wartime French village that helped 3,000 Jews to safety. She has also written book reviews for various newspapers and reviews, including the Times Literary Supplement, The Telegraph, The Independent, The Spectator, and The New York Review of Books. She specialized in human rights as a journalist, contributing a column first to the Times and then the Independent, and co-producing and writing a series of programs on human rights for BBC television. 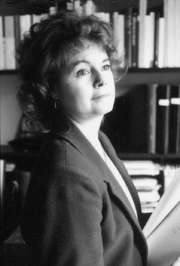 She has served on the committees of the Royal Society of Literature, of which she was elected a Fellow in 1993; the Society of Authors; English PEN; and the London Library. She was awarded an OBE for services to literature in 2005. Caroline Moorehead is currently considered a "single author." If one or more works are by a distinct, homonymous authors, go ahead and split the author. Caroline Moorehead is composed of 4 names. You can examine and separate out names.